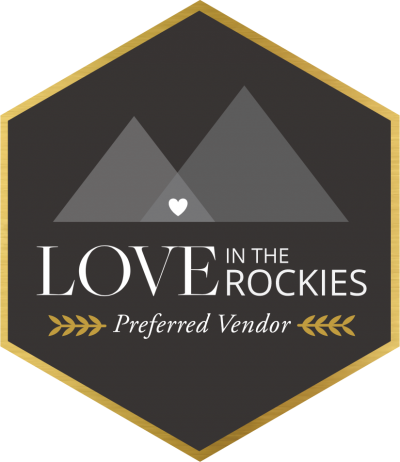 Usually, when people get married in the mountains they plan for an outdoor wedding ceremony beside the towering peaks of the Rockies and the beautiful lakes or meadows. Of course, the weather in the mountains doesn't always allow for an outdoor wedding ceremony, at the same time, there are some absolutely extraordinary indoor ceremony options in Banff. Today Banff wedding planners, Lynn Fletcher Weddings are showing us three luxurious indoor ceremonies they designed in Banff. 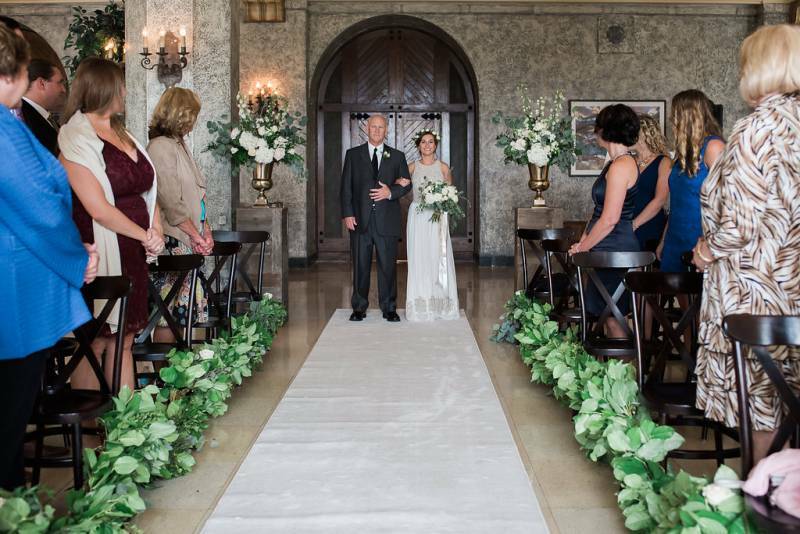 Each ceremony is completely different and shows how you can incorporate gorgeous style indoors. 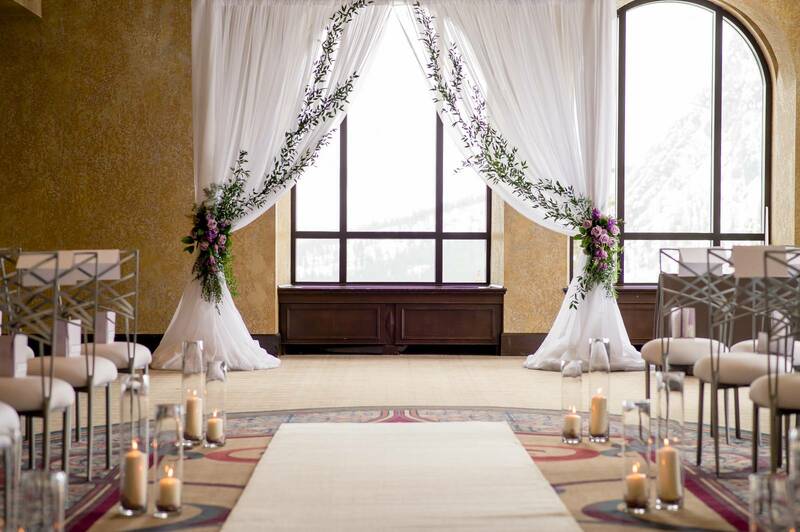 The Fairmont Banff Springs offers the most luxurious ballrooms for an indoor wedding ceremony. 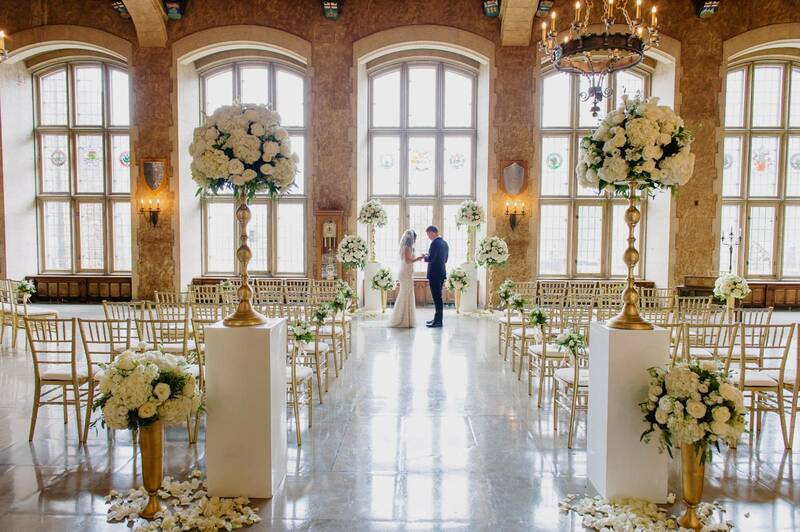 Here Banff wedding planners, LFW worked with a palette of gold and white to create a luxurious indoor setting that is completely extravagant and will make you re-think getting married outdoors. Gorgeous vines and purple roses add a natural touch indoors while candles line aisle to create a romantic atmosphere perfect for an indoor wedding ceremony. Banff wedding planners, LFW used greenery to adorn the white aisle of this wedding ceremony at the Fairmont Banff Springs. The greenery feels organic and modern, bringing an ode to the outdoors inside and creating a beautiful setting. Photo by Abby + Dave Photography. Thank you to Lynn Fletcher Weddings for sharing these gorgeous ideas with us today!